I'm looking at upgrading my jacket and just wondering what everyone else is using,I've currently got a military DPM milair jacket its windproof/(waterproof to an extent) but rather noisy when bush stalking,any suggestions??? Have a look at my review I did on a couple of Swazi jackets. For a quiet waterproof bush stalking jacket I'd recommend the Kagoule. The outer fabric is soft and quiet. I love my Swazi Tahr. Its bloody bomb proof and its got the soft outer similar to the Kagoule for bush stalking. Seems to be a heap of lightly used ones popping up on trademe at the moment for great prices to. Think theres a comprehensive review on it on here somewhere. Scouser and Dublin like this. Always a trade off when wanting waterproof and not noisy, new camo pattern stoneycreek stowit for me. Good price point and does the job, get it big enough so you can layer up underneath. Lived in mine for 7 days in fiordland and recommend. Better to go towards a rifle or optic - ALL jackets end up in the bin "oneday"
Brian and chainsaw like this. I'm also happy with my German army flektarn jacket. It is made from sympatex and is softer than my NZ army jacket, so it is less noisy and rolls up smaller but is just as waterproof. 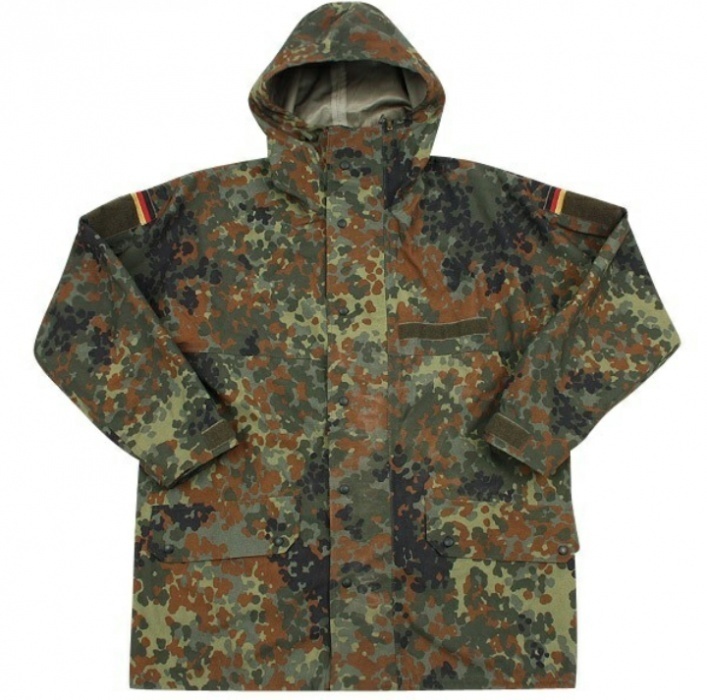 i have got this jacket, a gift from someone, its military standard and its water/windproof and it is not noisy, once back home ill send a picture of it. love it.